Christine Paparo of Upper Saucon, Pennsylvania is not a heavy data user, relying mainly on her WiFi for video and her home phone for communication. Needless to say, Paparo was shocked when Verizon sent her a bill for $2,385 for data – seven times her family of five’s usual monthly bill. “Every time you call and talk to somebody and they look at the account and they look into the history, they tell you it’s very unusual for that telephone number,” Paparo told the paper. Despite this, Verizon concluded there was no billing mistake and network error, and that Paparo and her family were responsible for the charges. She was offered $400 off the bill and 2GB free per month for the life of her phone, but Paparo wasn’t satisfied with this solution. Paparo is now suing Verizon Wireless, seeking damages of $2,948 to cover disputed charges and the cost of buying out two of the family’s phones. The Paparos will also be transferring to a new carrier. The hearing is scheduled for November 8th. According to an article from Surghar Daily, Comcast has agreed to pay $2.3 million to settle an investigation by The Federal Communications Commission for allegedly wrongfully charging customers for cable subscriptions and equipment they never ordered. From now on, Comcast is required to ask more clearly what customers want before charging them for new services or equipment, as well as to make it easier for customers to fight false charges. Comcast must also create a five-year compliance plan to work on obtaining informed consent from customers before adding any new charges to their bill. “We have been working very hard on improving the experience of our customers in all respects and are laser-focused on this,” a representative from Comcast said on the issue. The goal is to not only save customers from potentially paying false charges, but from wasting their own time contacting the cable company to dispute said charges or obtain refunds. According to Fortune, the Federal Communications Commission has recently confirmed it is investigating complaints from Verizon Wireless customers about strange data billing. Among those complaints are upticks in customers’ mobile usage when they’re asleep, data usage surging from single digits into hundreds of gigabytes, and even a case of a deceased man’s phone suddenly triggering overages on his widow’s account. The billing issues were first uncovered by financial reporter and columnist for The Cleveland Plain Dealer, Teresa Dixon Murray. She also revealed an error in 2010 that led to a substantial fine for Verizon. Murray wrote that her family received extra charges for usage that apparently happened while the family slept, leading to a series of replies from Verizon customers across the country who had experienced the same or a similar problem. Now, six years later, the stories are not only still flooding in, but being taken seriously. One woman was charged for using wireless data on a flip phone that was not data-compatible. In another story, a woman named Joyce Shinn was surprised to find that her husband’s bill started showing data charges a year after his death. Perhaps the most significant of all is the story of Valerie Gerbus, whose reported data usage skyrocketed from 4GB one month to 596GB the next. Gerbus was charged a whopping $8,535, plus a $600 fee when she decided to cancel her plan. Although Verizon eventually waived the bill and claimed that they resolved the situation, the company refused to provide details about the initial problem. Various Verizon representatives have responded to Murray’s probing on these billing errors, attributing them to consumer error or popular, automatic smartphone features that prioritize using data over Wi-Fi. The FCC hopes their investigation will determine whether these issues are a coincidental collection of consumer errors or rather something more nefarious, or simply ignorant, by Verizon Wireless. Apple’s having a rough time financially –the company saw its first decline in revenue in over a decade this quarter. iPhone sales have dropped 18 percent, iPad 19 percent and Mac nine percent. But every cloud has a silver lining, and Apple’s cloud could be keeping it afloat. Apple’s cloud services include the App Store and Apple Music, areas in which revenue has jumped 20 percent to $6 billion. The only thing ahead of it is “Other Products” which include Apple TV, Apple Watch, Beats and other such products. To put the success of Apple’s cloud services in perspective, it beat Facebook’s overall quarterly revenue of $5.8 billion of Q4 2015. The only hindrance to Apple’s cloud business is that it revolves around people using its software. And although Apple has sold now over a billion devices – a landmark they hit in 2016 – it still doesn’t give them the same access as Microsoft, which will sell its services to anybody. 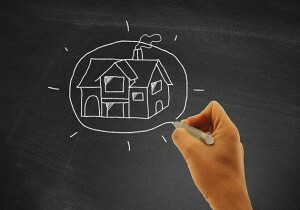 Could one stupid mix-up rob you of your dream home? According to mortgage broker Robert McLister, it sure can. He hits the nail on the head in his piece from The Globe and Mail – this paragraph accurately describes the struggle of dealing with telecom companies that are reluctant to admit to any wrongdoing, under any circumstances. While our focus at Schooley Mitchell is business, this column does contain some good information about personal credit and the impact that service providers – more specifically, wireless companies – can have on your credit rating. 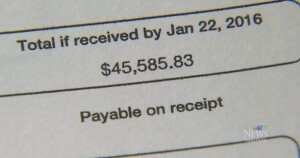 Hard to believe that just one missed cellphone bill can annihilate a mortgage application. It’s scary stuff. Schooley Mitchell Lawsuit Watch: A Big Verizon Rip-Off? In this edition of the Schooley Mitchell lawsuit watch, a consumer advocacy group is squaring off against Verizon, accusing the telecom giant of scamming customers and diverting the funds to expand its wireless and fiber optic networks. The New Networks Institute alleges Verizon has overcharged New York landline subscribers to the tune of $1,000 to $1,500 each, spending the money on infrastructure improvements and corporate expenses. New Networks executive director Bruce Kushnick says Verizon is overcharging for its copper-based landline service and that its other services are a rip-off. For example, call forwarding and call waiting costs $7.95 per month, but only costs the company 2 to 3 cents, he says. Enjoy the push notifications that browsers like Chrome and Safari offer? Clearly Mozilla does, because it had updated its Firefox 44 browser for Windows, Mac, and Linux to include them. The push notifications work only with your permission, for websites you specifically choose. That being said, if you update Firefox and don’t want push notifications, you have the choice not to enable them at all. Some perks? Websites like Facebook and Twitter will still send you notifications, even when you don’t have those tabs open. This makes organizing your browser easier, while keeping you connected to the sites you care about the most. 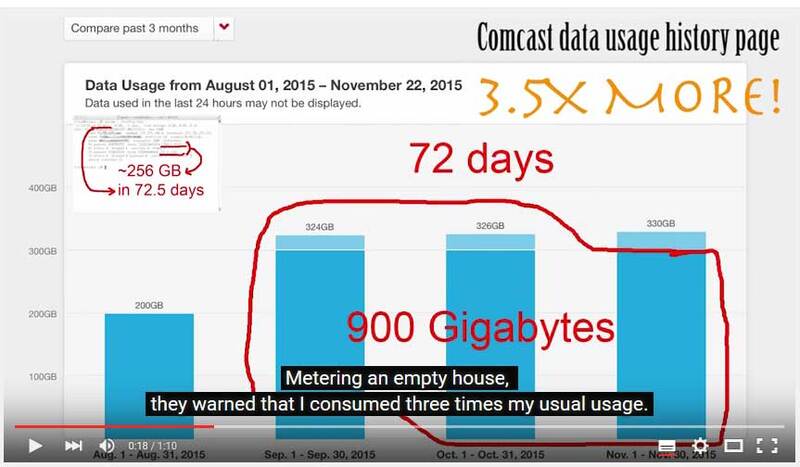 You need to chose your battles and Comcast picked the wrong guy to take on in a fight against false data overages. According to Ars Technica – which has the lockdown on telecom scam stories, these days – a computer programmer named Oleg (last name withheld) started receiving notices from Comcast that he was eating through his data allowance. This didn’t make sense to Oleg, as he was out of town when the overages started. Being a computer guy, Oleg checked out his traffic logs and surprise, surprise – they didn’t match Comcast’s records. Determined to get to the bottom of it, Oleg decided to tether to the mobile data on his phone while keeping an eye on the usage meter. It continued to climb. 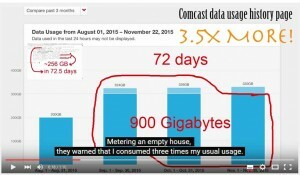 He unplugged his modem completely, yet Comcast’s records showed he used 66 GB in six days. His own tests showed he used about 8 GB a week. 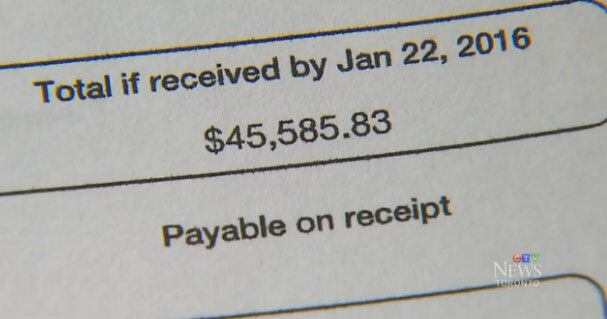 When he called to complain, a Comcast rep told him their meter was 94.6 percent accurate. He was also told someone was probably stealing his Wi-Fi, something he doubted considering the fact he’s a software developer who is serious about home security. Of course, after Ars got involved, Comcast reached out and settled the dispute, admitting there was a “technical error” associated with the account. As pointed out in its article, customers with less computer knowledge may not realize they’re being overcharged or know how to fix it. It makes you wonder just how many people out there are in Oleg’s shoes and don’t even realize it. The North Wales Police Service is in the news this week and taxpayers are up in arms after the force paid tons of cash for mobile phone service it hadn’t used for years. Many seem shocked a phone billing error like this could happen. Meanwhile, on the other side of the ocean, I’m only barely surprised. Wait, I’m not surprised at all. All in all, the cops are in the hole for over $840,000 USD for the unused service, which went on for two years before it was spotted. The BBC reports the force has been in touch with the unnamed mobile carrier and is ironing out repayment terms. The company has admitted there was “a likely issue” though I’m not sure that’s what I’d call a billing error that was steadily climbing toward $1 million – I might use slightly stronger language. Welsh Conservative Assembly Member Darren Millar seemed bewildered by the incident, telling the BBC that taxpayers will want to know how police didn’t pick up on the mistake. On the flip side, the force and crime commissioner Winston Roddick took a more positive spin, pointing out the error was eventually discovered and the police service’s financial department was taking steps to rectify the matter. He said something pretty important there, in case you didn’t pick up on it: we need to be vigilant when it comes to our finances. Too often people subscribe to the “weigh it and pay it mentality” where as long as their telecom bill is roughly the same amount of money as the month before, they will pay it without second thought. There’s a good chance that is what was going on in North Wales. Sadly, some studies show up to 80 percent of our communications bills contain errors. Because it’s a confusing marketplace and we’re often not well-versed in the technology, telecom statements can be difficult to decipher, making it easy to miss a mistake. Sometimes we just don’t have the time to devote to scouring our bills and spending hours on the phone with our providers to make the necessary adjustments. And even if you do, you’re left wondering if you’ve gotten the best deal as soon as you hang up. I feel confident identifying these issues because it’s what our consultants encounter on a daily basis. We have an advantage with our best-in-class pricing databases, specialized software and benchmarking tools, but at the end of the day, it boils down to hard work: it’s tough to navigate through a web of services. It takes time to pick it apart on a line-by-line basis. It takes experience to make sense of it all. If you haven’t reviewed your business’s telecom or merchant services thoroughly, or have relied on an outside commissioned rep to do so, consider an additional review with an independent audit professional. It won’t cost you anything, but you could end up with a lot more money in your bank account in return.